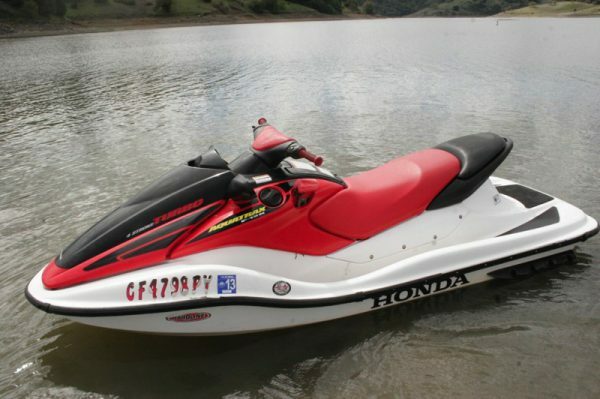 Honda Aquatrax F-12x Turbocharged Jet Ski for Rent in San Jose. Bay Area Jet Ski Rental. This Honda Aquatrax Jet Ski is a 3-seater, and can even pull a tube or wakeboard. You can launch our skis in 4-stroke only lakes such as Tahoe. We have banded skis available for the local lakes such as Anderson, Coyote, and Calero Jet Ski Rental. Capable of pulling a tube or even a wakeboard!